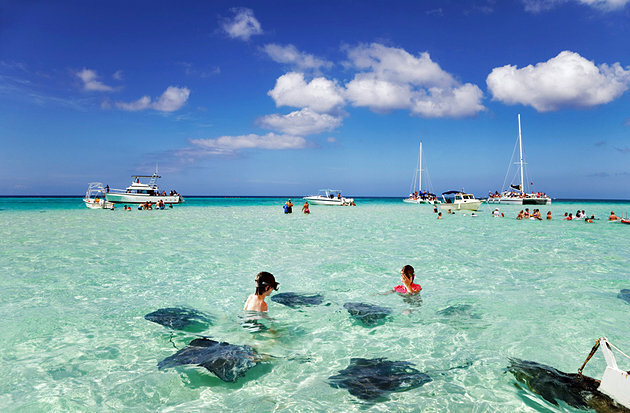 The Cayman Islands is home to some of the most popular Caribbean activities and attractions. Whether you are in the mood for snorkeling, windsurfing, bird watching, parasailing or even a relaxing round of golf, Cayman is the place to plan your next vacation. Grand Cayman is the largest of the three Cayman Islands and the most popular for tourists. Approximately 76 square feet long, the Grand Cayman will require more than just travelling on foot. Not all areas of the island have public transport access, so the best and easiest way to travel around the island would be to rent a car at Grand Cayman. Like in all countries, there are policies in the Cayman Islands before you are allowed to rent a car. You must be 21 years or older before you are allowed to rent a car on the island. A driver’s license from your country will not be the only document needed to drive in the Cayman Islands. All non-residents must purchase a visitor’s driving permit for a one-time charge of $20. If more than one person is driving the same car, you may add additional drivers for $5. Driving is a common way tourists travel, which is why Grand Cayman car rentals are all over the island. It is wise to do your research and choose wisely. Trying to figure out the rules of driving in a foreign country can be tough. It is best to learn the rules of the road for a safe and fun vacation. Unlike the U.S., people drive on the left side of the road. The speed limit varies on the island, from 25-50 miles per house. The local authorities check car speeds and will give out citations. Cars in the right-hand lane have the right of way in the Cayman Islands. If they are slightly ahead of you and on the right lane but would like to switch to the left-hand side, you must yield, allowing them in. There are many roundabouts in the Cayman Islands. Always travel around a roundabout in a clockwise direction. Never turn right or you will enter oncoming traffic. Everyone wants their home to look as good as possible. There’s no shame in taking pride in your house. It’s not just where you and your family live. It’s also your addition to the community you live in. If you ever end up selling, you’re going to want this kind of investment looking its best too. While there are many ways to help your home make the best possible first impression, doors are definitely an important one. Exterior doors are one of the most defining characteristics of any home. 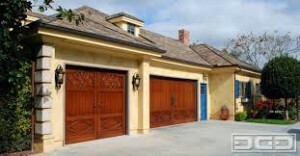 Wooden doors carry a lot of personality and should definitely be considered. Exterior wood doors have been around for ages of course, but there are tons of options to choose from these days that offer a modern aesthetic. Before you make your purchase, you should really consider wooden front doors. You can do plenty to modify any model’s appearance to get exactly what you want. Obviously, wood is easy to paint too, which means it’s a project most people will have no problem taking on. Whatever you want in your home, you want it looking good at all times. The doors that everyone can see are a great way of going about doing this. If your home needs a new door or two, look no further than ETO doors. Whether you need wood doors or any other style for your home, this company has everything you could possible want and probably a few options you never thought of before. Are you looking to move soon? If you have options, it may actually feel like a bit of a burden sometime. You have to consider all of the different locations around the entire country that you could move to. While it’s definitely better to have those options than very few, you probably feel like you have a real uphill climb ahead of you. It’s definitely important that you think through all of these options. However, you’ll probably be a lot happier with the process if you begin by looking at homes in Richmond, VA. Without a doubt, this is one of the best places to live in the entire country. Richmond homes for sale have many things going for them, to be sure. Amongst other things, the neighborhoods here are all relatively safe. The school systems in Virginia are some of the best in the nation too. Obviously, then, this is a great place to raise or move a family. 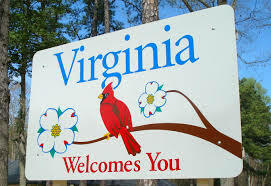 Of course, the job market in Virginia is doing better than most states as well. You could even land a job in Washington, D.C. and retire back to your Virginia home at the end of the day like so many others do. Are you in the market for a new residence? If so, you definitely have a lot of options these days, that’s for sure. However, check with a realtor in Virginia before you make your final choice and chances are you’ll be very happy with your decision. Who Burned the HMS Gaspee? During the Seven Years War, the British customs service in the North American colonies used particularly violent means to get what it wanted. Britain didn’t do a lot to resolve these issues, mostly because it was at war for much of this period, and it didn’t deem the risk to its colonies strategic enough to pursue any deeper. After the War, Britain seemed to make problems worse by purchase several schooners that would be in charge of collecting taxes and fees from the American colonists. The Seven Years War had put a major dent in the British economy, and the country was looking to recoup its losses. It turned its efforts on the New World, which was supposed to be a profitable trade avenue. One of the vessels policing the colonies was the HMS Gaspee, captained by Lieutenant William Dudingston. In 1772, the boat was on its way to Rhode Island’s Narragansett Bay. It was there that Dudingston would meet Joseph Bucklin, a restaurant owner in Rhode Island. Unbeknownst to Dudingston and crew, the destruction of the HMS Gaspee was most likely plotted either at that restaurant or at Bucklin’s home, located a few blocks away. It was dawn of June 10th in 1772 when Bucklin and his men boarded the Gaspee. They took Dudingston’s crew by surprise, and Dudingston himself was wounded during the conflict. Bucklin had fired the single shot of the conflict, as Dudingston’s crew had put up only feeble resistance. The ship was sacked and burned, which would not go unpunished by the British. The attackers were declared treasonous, and were to stand trial in England. In the end, the British decided they did not have the resources to try and case and instead decided to levy taxes on the colonists.